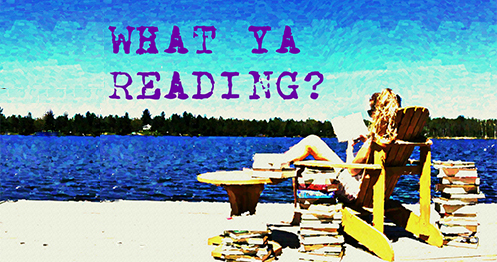 The Heiresses | What YA Reading? Was it suicide… or murder? In the aftermath of the tragedy, the remaining heiresses—Corinne, the perfectionist; Rowan, the workaholic; Aster, the hedonist; and Natasha, the enigma—wrestle with feelings of sadness, guilt, and, most of all, fear. Now they must uncover the truth about their family before they lose the only thing money can’t buy: their lives. 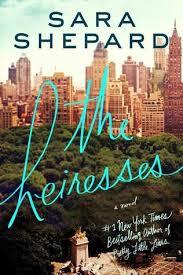 The Heiresses is a whip-smart mystery that simmers with the wicked sense of humor and intrigue that made Sara Shepard’s number one New York Times bestselling Pretty Little Liars series a must-read, must-watch phenomenon. Where life’s luxuries are concerned, the Saybrooks have got it covered. Fathomless wealth, widespread fame, upper crust privilege, and the freedom to sleep with whomever they please despite ongoing relationships and claimed monogamy—a freedom they exercise quite regularly, believe me—are but a few of the extravagances available to those of their standing. Nevertheless, no family exists without any skeletons in their respective closets, and the Saybrooks’ misfortunes are necessarily proportional to their stratospheric rank. Suicide, murder, and other such tragically fatal accidents are but the tip of the iceberg where their increasingly vast familial strife is concerned. In this series debut, Sara Shepard describes life as seen by the Saybrook heiresses, that is to say the discord involved in family business at the highest tier, the multitude of trials faced by America’s contemporary nobility, and the vexatious penchant of the truth to out in the end. My most lasting impression of The Heiresses is the resemblance it bears to another tale of an affluent blonde dynasty: that of E. Lockheart’s We Were Liars. Indeed, both the Saybrooks and the Sinclairs exist as royalty in their own respective kingdoms, deal in dirty secrets and trade infinite sums of money for the maintenance of flawless airs, and receive their due comeuppance in good time. After all, this world is about give and take— you can’t have everything without the consequent collateral damage. Regardless of all of the riches and connections in the world, justice must be served. Yes, perhaps the only true discrepancy between Lockheart’s and Shepard’s pair of blue blooded clans lies in the age of the culpable band of cousins; the Saybrooks are roughly a decade or so older than their Sinclair counterparts at the time the action takes place, if not a decade wiser. Now, then, may be my cue to confess that I’ve always held a certain partiality towards family epics. There’s something about the politics, the entanglements, the repercussions of the genre that I can’t help but adore. To me family productions are almost akin to those delectable dramas set in small towns— except they’re improved for all of their added closeness. As for the writing, The Heiresses is more in the vein of the beach read than the classic murder mystery. It doesn’t weigh you down like standard crime fiction, coming across not as thrilling and sinister, but rather as light and fluffy with a dash of homicidal intrigue. Accordingly, when the irresistible call of moonlight reading keeps you up until the dawn, it will just as likely be due to your yearning to follow the heiresses’ romantic attachments than their excavation of psycho killer clues. I will even go so far as to say that that The Heiresses is rather poorly written. The characters frequently come across as wooden and unfeeling; the cousins’ actions blatantly contradict their avowed love for one another; the plot runs rampant with deus ex machinas and twists that ostensibly emerge out of nowhere. I have to say that I expected more from the so widely extoled Sara Shepard; but then again, at least through this novel she has taught us that far-flung fame is sometimes only a veneer. The Heiresses is the novel for you if you are in emergent want of mental suspension, if you have time to burn, or if you’re actively looking to one-up your collection of dog-eared gossip magazines. 2.7/5 stars.